In re North Cypress Medical Center Operating Co., Ltd. Plaintiff sued North Cypress Medical Center Operating Co. (the “Hospital”), challenging the enforceability of the Hospital’s lien for medical services rendered to Plaintiff, who was uninsured. 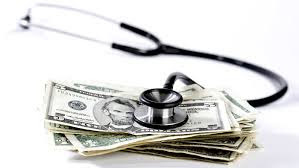 Noting the standard for discovery is lower than the standard for admissibility, the Court held the reimbursement rates a hospital receives from private insurance and federal healthcare programs are relevant to the reasonableness of charges to uninsured patients. The Court therefore required the Hospital to produce that information in discovery. After providing emergency hospital services to Plaintiff following a car accident, the Hospital billed Plaintiff at its full “rack-rate” and asserted a hospital lien on that amount pursuant to Texas Property Code § 55.002(a), which allows hospitals a lien on money a plaintiff receives for medical expenses caused by the negligence of another person. After the Hospital and Plaintiff failed to reach an agreement on a reduced bill, Plaintiff sought a declaratory judgment that the Hospital’s charges were unreasonable and the lien was invalid to the extent it exceeded the reasonable and regular rate for the services the Hospital rendered. The trial court required the Hospital to produce documents and information concerning its reimbursement rates from private insurers and public payers such as Medicare and Medicaid for the same medical services provided to Plaintiff at the time in question. The Hospital sought mandamus relief, arguing the discovery sought was not relevant to the reasonableness of charges to uninsured patients because uninsured patients are not entitled to the benefits of negotiated rates. Several hospital systems filed amicus briefs in support of the Hospital’s position. In its opinion ordering production of the contested documents and information, the majority noted that hospitals increasingly charge or quote a “full-price” rate but rarely actually collect that amount. The Court concluded the rates a hospital accepts as payment from the majority of its patients, even if they are differently situated than uninsured patients, are relevant to—but not dispositive of—the reasonableness of its charges for uninsured patients like the Plaintiff here. Because discovery sought must only be relevant to the cause of action, meaning it has “any tendency to make a fact ... more or less probable than it would be without the evidence,” the insured or negotiated rates were discoverable. The Court rejected the Hospital’s argument that the rates were confidential and proprietary, noting the insurance contracts could be produced pursuant to a confidentiality agreement. The dissent observed that each patient, whether insured or not, is charged the full rate. Only if there is a negotiated rate with an insurance company or the government does a hospital agree to accept a lower rate, usually due to the benefits to the hospital of having increased patient volumes and ease of collections. The dissent noted that Plaintiff failed to show the rates charged by the Hospital were different than the rates charged to any other similarly-situated patient. Consequently, the dissent argued, insurance or other negotiated reimbursement rates are wholly irrelevant to charges for uninsured patients.